Today I have to show you some extraordinary kabukis, since the day I received the Koyudo White “mushroom” my interest for kabukis has become so much stronger, I can barely control myself when I see how beautiful they look on the websites, they are so tempting ! I love the three of them so much that it’s a mental fight in the morning ! The three are so different and so efficient that it’s really amazing to be able to use them all. It took me a few times to get the name right ! Kokutan is the name of the series with the ebony wood handles, Saikoho is the type of hair, Kinoko is the type of brush. 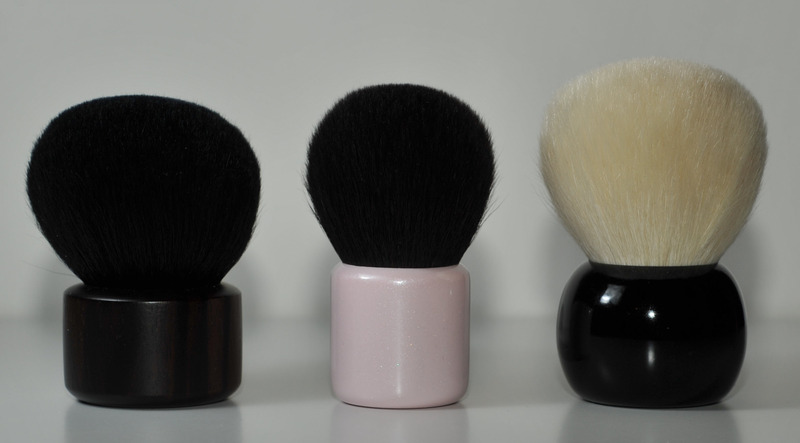 I believe this is the most expensive brush that Hakuhodo have in their collection, it costs Usd 216. I saw it recently on their website listed as a new product. Saikoho is the type of goat hair they used, it’s the best goat hair (or one of the best), it’s also very rare. 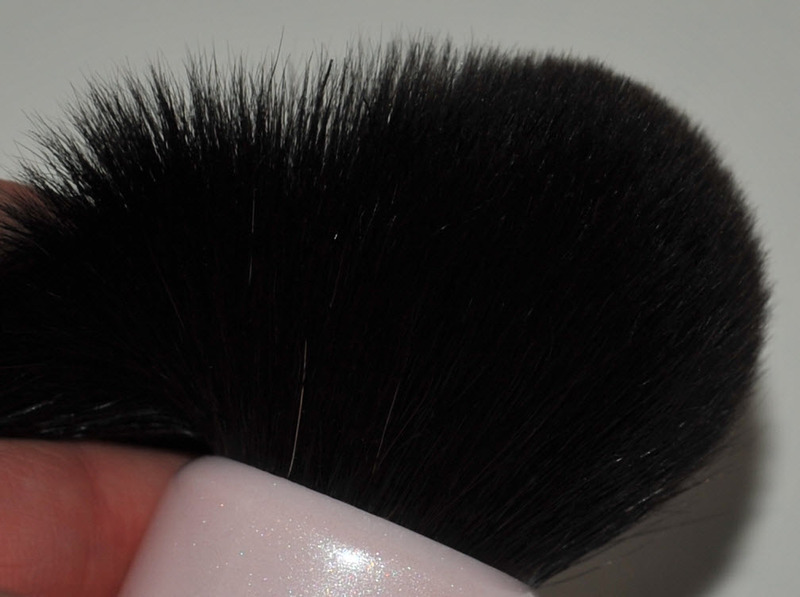 The amount of hair in this brush is huge therefore it makes this brush really expensive. It’s not as soft as squirrel hair and it’s not as soft as the baby chest goat hair brush in the white Koyudo mushroom, but it’s very pleasant to use, extremely dense and velvety. I always have a funny sensation when I use it, it feels like a very gentle car wash sensation 🙂 it delivers an even pressure from the side of the brush head to the top of the surface. It’s meant for powder, I use it also for bronzer, it can deliver a sheer to heavy coverage, absolutely flawless and even. I can pack a lot of product, with more pigmented bronzers you will need to tap the excess off, I never ended with harsh lines, the blending was always perfect. It’s also a very nice finishing brush, but beware of the density as it can blend away your products if you don’t use it with care. 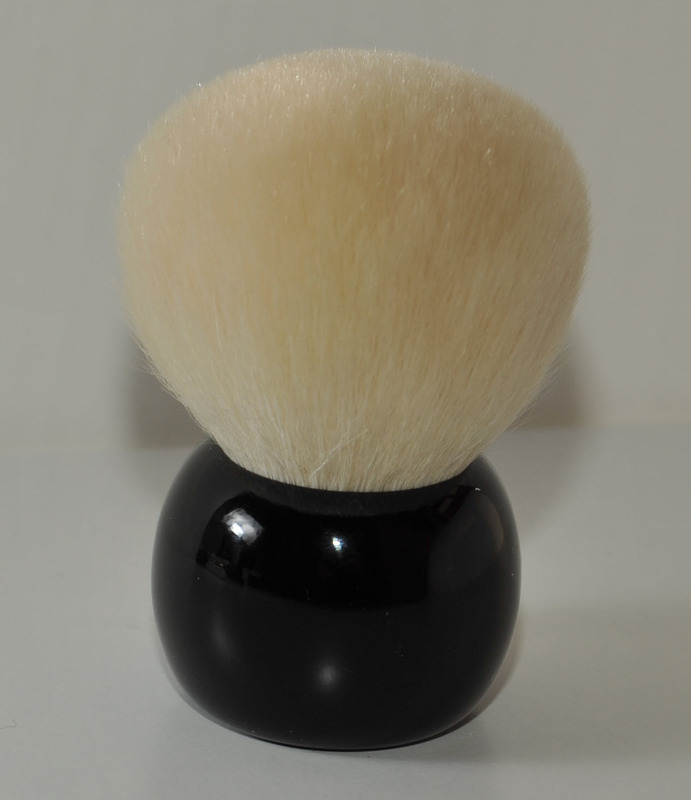 Hakuhodo has this same kabuki in two other smaller sizes, the hair of this one is 4cm long. I am trying to show you how it looks inside (no brushes have been harmed in the process…) but it’s difficult to do so, it’s a black mass of hair, but you can see that the hair is fine. 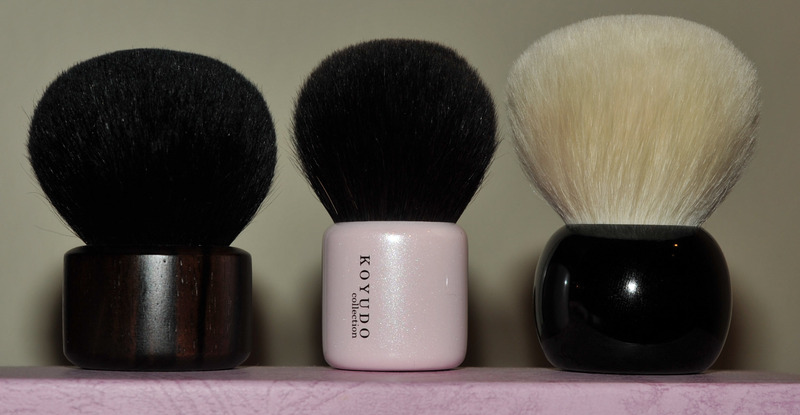 Koyudo has this same brush with different handles, I chose the pink one for a change. It’s made of squirrel and goat (I think but I have to say that it’s incredibly difficult for me to understand their translation or anything else than squirrel and this one is a mix). Anyway, it’s very soft, smaller than the Hakuhodo and much less densely packed. The hair length is 3.8cm and costs 5,564 JPY (around Usd 68). 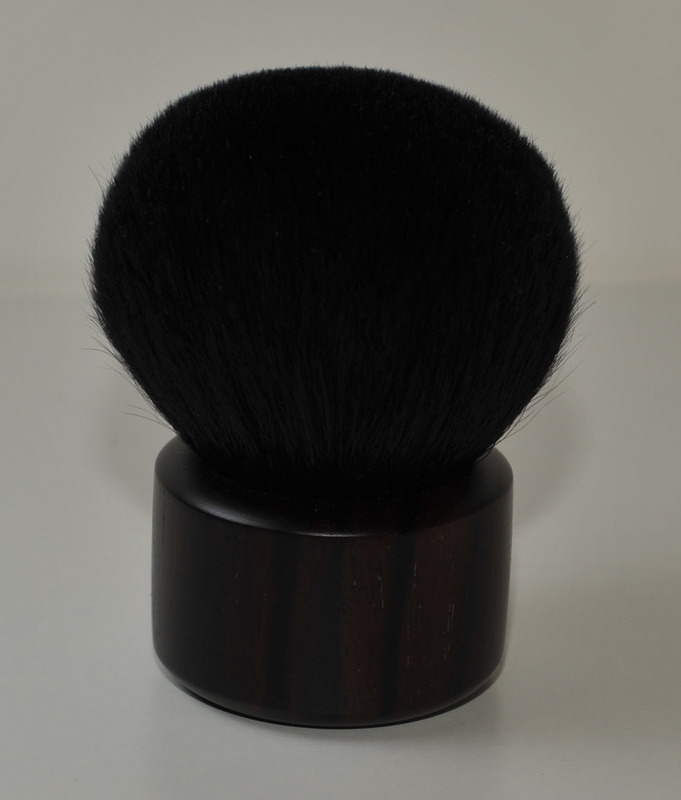 It’s a really lovely brush, extremely efficient for a natural application of bronzer, I can also manage the application of blush, you can cover a smaller surface if you use only the point. This is a nice versatile brush since it’s smaller than the other two, it also works with many different products more or less pigmented, it’s very easy to apply your bronzer without overdoing it. Some little white hair made their way into the bundle but that’s not a problem, I think it looks cute with the little white hair. 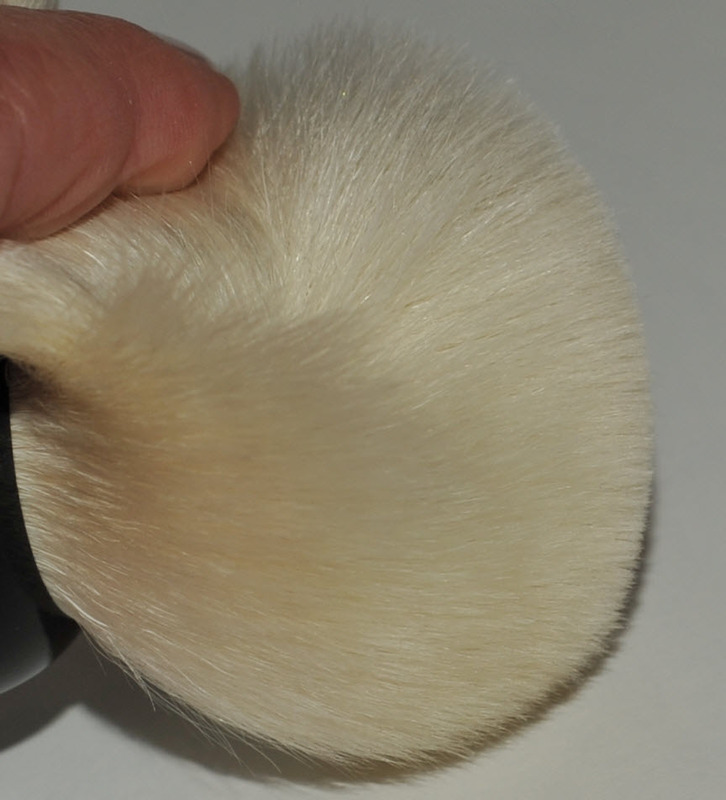 The quality of the brush is excellent, it doesn’t shed, it feels amazingly soft on the skin. This is made of baby goat chest hair, costs around Usd 135, worth every penny. If it doesn’t show on the Koyudo website and you want to get it, contact them by email, they might be able to get them for you. On the CoolJapanNow website it shows out of stock. When I first got this brush I went crazy, it’s so incredibly soft that you can’t stop touching it. 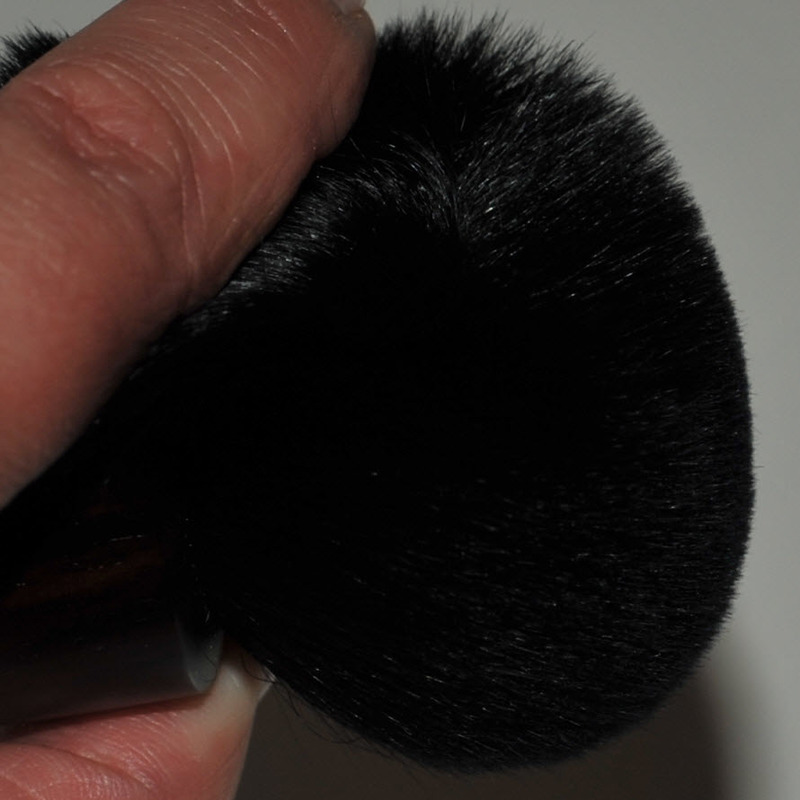 It’s just heaven in a brush to me, I don’t know how they manage to bundle it so perfectly. It’s dense but not densely and tightly packed like the Hakuhodo is and it has much more flexibility, therefore the coverage is sheer to medium. I use it with bronzer and powder. Three amazing kabukis, unfortunately very expensive but each one of them is worth every penny. They are or excellent quality, none of them shed. Hakuhodo Kinoko and Koyudo Mushrooms – a battle of Titans was last modified: August 4th, 2013 by Sonia G.
and not need to approve all comments. I need to see how this can be possible ! I agree the comments are really fun, I am blessed ! I too love the Kokutan series from Hakuhodo and have many of their brushes in the blue squirrel hair as I like very soft brushes. I want the white mushroom!!!!! Should I try to contact Koyudo or will I just end up frustrated? I love how you said you got goosebumps!! It’s little observations like this that makes your blog special! yes you should try, I know this has worked for a friend so it may work very well, do you need their email address ? Hihi…trust you to find the stray white hair! I also love the Kokutan brush handles. 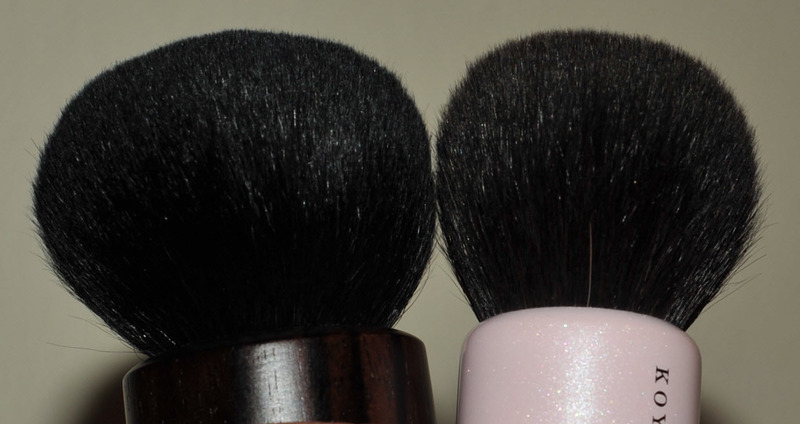 Don’t you think that the Hakuhodo brushes handle is depicted differently on the Haku site though? More oval & elongated than than block like? 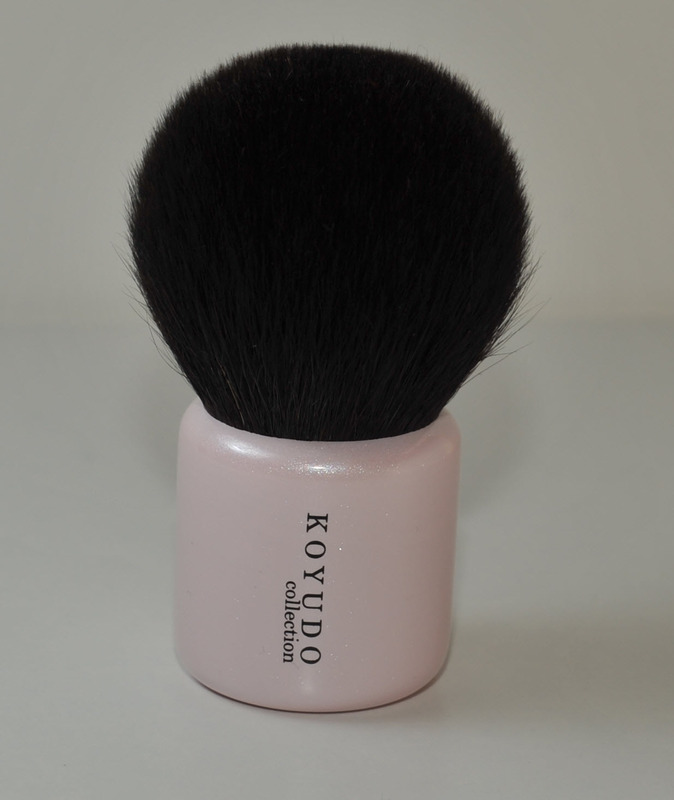 Is anyone getting the Koyudo Mickey Mouse brush? The Kokutan handles are different, I thought I was ordering the more elongated one that I preferred… I am a bit sad for that. They have the same brushes but with different handles. The handle dilemma is not pleasing at all if you were expecting a different form. . Have you contacted them? The shape of the handle affects the way you can hold & use the brush so if you’re expecting one thing & get another I feel that you have fair reason to exchange. No Mickey Mouse for me. The macaroons were my limit of cuteness & I’m not a comic fan, but you have to take your hat of to Koyudo for being on the ball!! Many people collect Mickey Mouse memorabilia so I’m sure they’ll be a hit! I should have contacted them before I used it… now it’s a bit too late. The medium kinoko with a black oval rounded base was part of an incredible Hakuhodo Christmas set that I bought in 2010. It is a lovely brush but I don’t use it. I have a lot of other blush and face brushes with handles and I think I am not comfortable with manipulating the stubby base in kinokos. Maybe my hand/eye coordination is subpar? Flicking a brush with longer handle is easier and allows me to see better what I’m doing with the hair end. I’ve put it out closer to my other brushes and will try again — maybe I’ll get better with practice! These look great. I love the white mushroom so pretty! I got my hokuhodo order so exciting. My kokutan LAG though was not at all what I expected I think this is what you guys are saying in the posts above it has a short stubby handle. I don’t mind the short handles in the other brushes but I admit I primarily bought this brush because of the look of it. I could have got a cheaper version in one of the other series but liked the look of the long wood handle so am not loving this one. I have emailed them in the hope I can swap it. I haven’t even opened it as knew straight away it was not what I wanted. I hope they will be happy to swap it. you should ask them and not wait like me … I agree, these handles are beautiful and I love how they evolve with time, such an art ! I’ve checked my H004, no white hairs either. 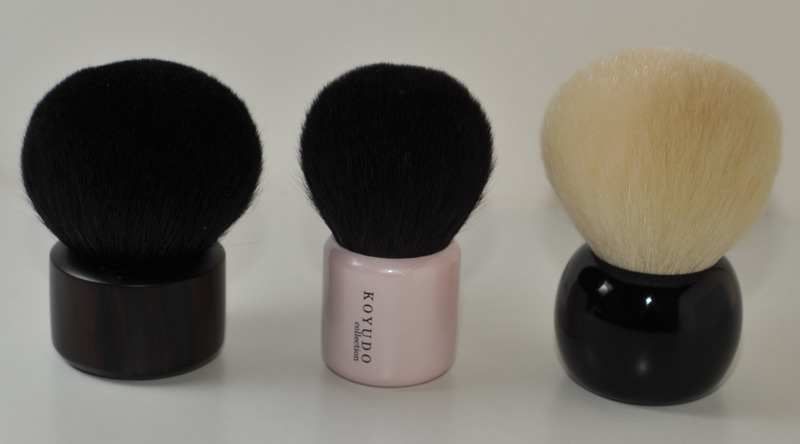 I’ve been lemming a kokutan kinoko small brush (for blush) for ever but I prefer get the white one, I hope they will pop on the website one day. I’ve just seen on http://www.solonelyingorgeous.com/ a review of the hakuhodo christmas set, it looks very promising. I’d soooo love to pay that Hakuhodo store in Japan a visit. They’d have to get security to haul me out of there at the end of the day though, because I know that I’d NEVER want to leave. You have noted very interesting elements! ps attractive web site. I stumbled upon these beauties and I just had to tell you. Its such a beautiful craftmanship between Chikuhodo and the company who does the gorgeous ceramic handles!! Here is the link: I was totally in Aaaaaaawwwwwwww…….. Thanks again, please don’t hesitate to share whenever you have new brush links, we love that ! Haha yeah I thought u must have seen them before. I think I would never use it because its too beautiful and especially waaaay too expensive for me! Maybe nice to keep behind glass doors or something and just starring at it every day. Lol…. Anyways, I have been researching for the fude last wkend and found several brands. Have u ever heard of these: Mizuho, Tauhaus, Artisan & Artist and Tanseido? I just want to try them all!!! I saw so many Japanese websites for the last couple of days my head is spinng and almost think I can speak Japanese! Yes I heard of these, but they are often only available in Japan, if I ever make it to Japan I would have to travel back by boat and with a container ! The H008 is part of my next order but I didn’t hear from Koyudo yet. Hi! I was wondering what do you think of Koyudo H008 in this battle of the titans? I read you featuring it in your 2012 brush award, but it’s missing here like Spiderman didn’t make it into the Avenger’s lineup. H008 didn’t make the cut? Well, I think it’s just because I picked 3 similar kabukis with similar functions (bronzer-powder) in order to compare them side by side, the H008 is a stunning competitor but not the same shape. Did you get it or where you considering getting it ? Hi! Thanks for the quick reply. I am considering getting it. Okay, scratch the considering. But I dont know whether to get the white mushroom or H008. Which is softer in your opinion? My face is very sensitive now due to the retinol treatment, my lunasol cheek brush N feels like needles on the face. Which would you recommend? In terms of density and softness. Hello Sonia! Thank you for your blog, it is a pleasure to read and really helpful! I have Koyudo white mushroom and i love, love, love it! !